I love Christmas Trees that are decorated with a huge assortment of ornaments that have happy sentimental stories to go with nearly every one of them! Growing up, my parents had that kind of tree and now I’ve had my own tree for almost 30 years and it’s full of ornaments that have their own stories to tell. A few years ago, my sisters and I inherited our parent’s old ornaments that we’d hung on the tree year after year, as little girls growing up in their home, and now those ornaments with their stories are hung on the trees in our four homes. 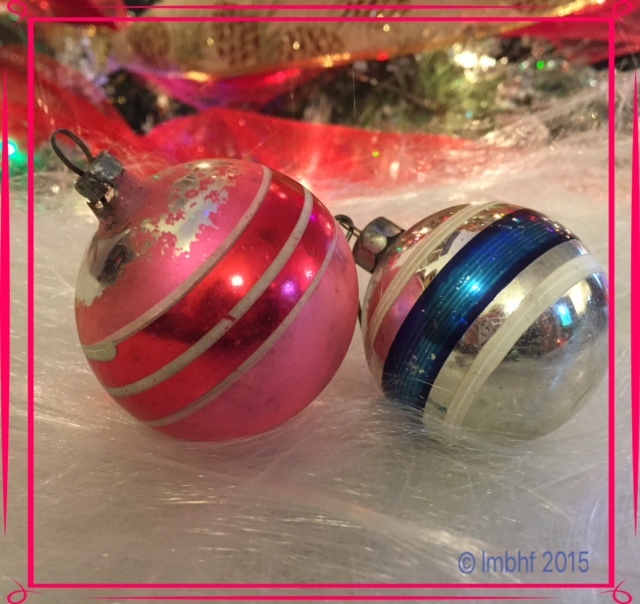 Today, I’d like to share photos of some of the ornaments I inherited and tell their stories. This first photo is of my favorite ornament and I believe the oldest ornament on my tree. It’s probably nearing 100 years old, if it’s not already. The very first tree it ever hung on was the tree in my dad’s childhood home. When I was a little girl he told me about how it used to adorn his mom’s tree and then he inherited it to hang on his very own tree in the home he shared with our mom and his four little girls. I remember telling my dad that someday I would have a little boy named Tommy (Thomas was my dad’s middle name) and I would give the ornament to him. I think that made my dad happy and it made him feel proud. Well, I didn’t ever have a little boy named Tommy (my two sons are adopted and came with names already) but I have three grandsons (so far) and I show them the ornament every year and tell them how it belonged to their Great Grandpa Bob when he was a little boy. I don’t know who will inherit it from me, but I hope that it will hang on the trees of my children, grandchildren and great grandchildren for a long, long time to come. Midway through my childhood my mom had finally “arrived” and we had two Christmas trees every year! One was a traditional tree of all colors and all kinds of ornaments and the other was a “designer” tree with a theme and coordinated ornaments. The first designer tree mom ever had was a white tree with orange, gold and olive green ornaments on it. 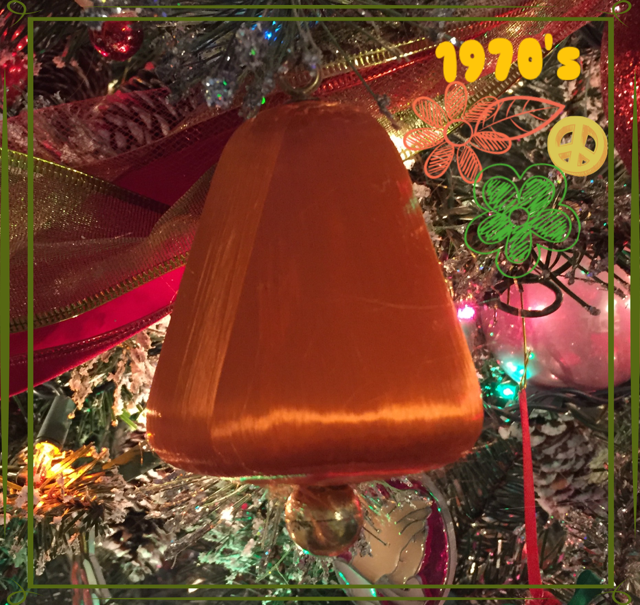 That color combo was way big in the 1970s and the tree matched our living room! For some reason I think of that tree as very old fashioned and out of style and I laugh when I think of it! When I decorated my tree this year, I put this ornament in the back and originally wasn’t going to include it in this piece. 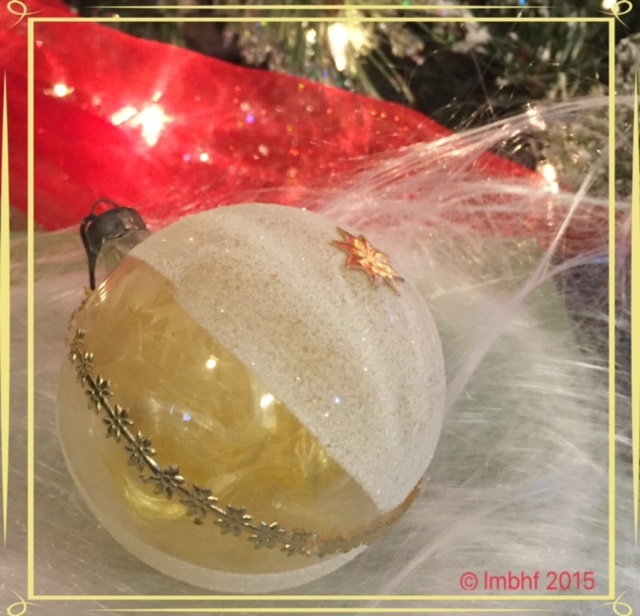 As I wrote this post and included this ornament as an afterthought, I reflected on my attitude toward this ornament and the tree it used to hang on with curious amusement. Hmmm…I don’t know why I feel like that, I’m just kinda strange I guess! I have gained a little more of an appreciation for it. This photo is of a trio of ornaments (I actually have two more baby birds for a set of five) that used to adorn my mom’s second designer tree. That tree stood tall and proud on a big end table in the big bay windows of the living room of my parents’ retirement home. It was white and decorated with twinkling blue lights, pretty blue beaded garlands and white and blue feathered birds and again, it matched the living room. There was something, whether it was an ornament, a set of lights or just a sound box (I don’t remember what now), made a pretty sound of chirping birds to complete the majestic feel of this beautiful tree. I remember this tree fondly and with great admiration. It was elegant, timeless and the epitome of my beautiful mother. 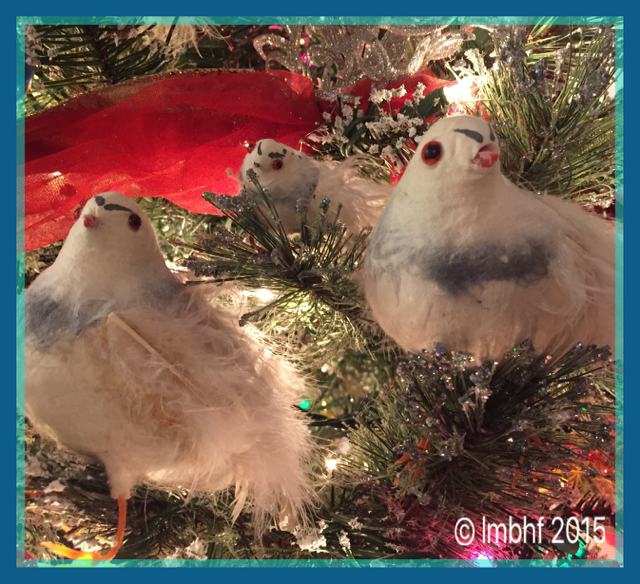 Those are the thoughts and feelings I have every year when I find a place of prominence on my tree to display “Mom’s Birds.” I show them to my grandchildren and tell them about their Great Grandma Jean. These were two of my favorite ornaments as a little girl. They resembled toys and they represented classic children’s Christmas fables so I loved them. I would always find a place on the tree where I would be sure to see them every day! They have been around since I was born or shortly thereafter. 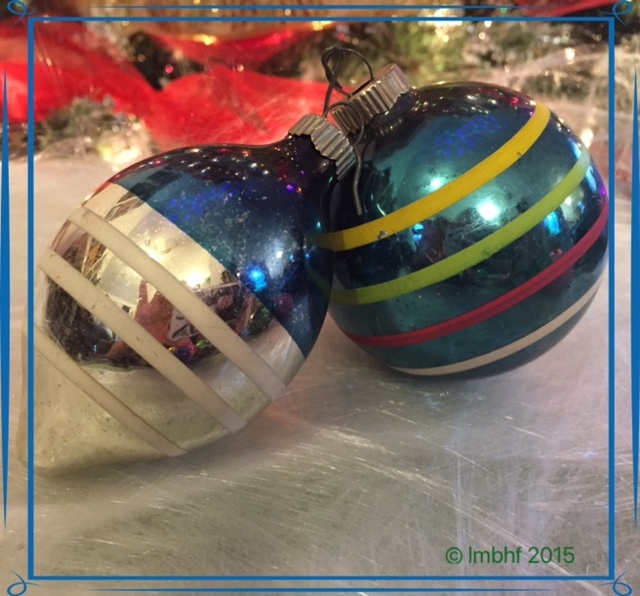 Being the “little” sister, I was able to score these two fun gems when my sisters and I divided up the ornaments. This ornament has no metal on it because it was made during World War II and all the metal was being used for the war. My dad and my uncles are veterans of WWII and their moms, dads, sisters and wives/sweethearts courageously held down the fort at home while they were away at war. I’m in awe every time I see this ornament and think about it’s historical significance and it makes me feel proud of my dad, my uncles and my heritage. 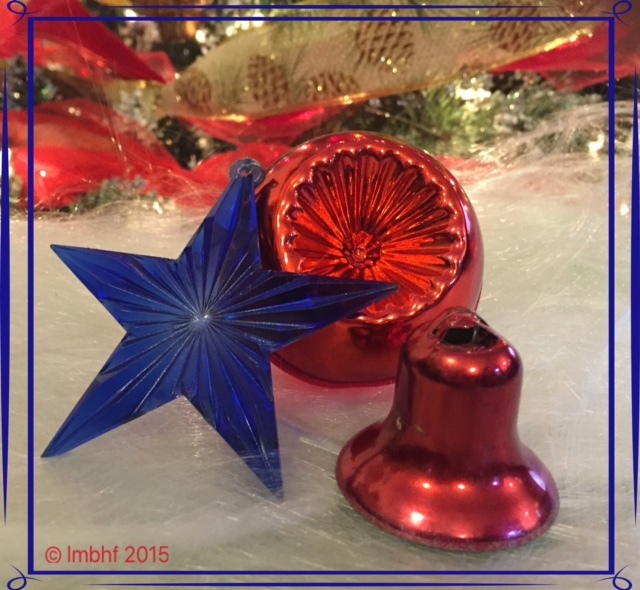 The next photo shows a red ornament that is completely made of plastic, and a blue plastic star. The bell is metal. I love these vintage ornaments with the fancy impressions in them. They truly reflect the elegance of days gone by. The next three photos are of more old and beautiful ornaments I inherited from my parents. This set isn’t quite so old, but they hold happy memories from my childhood. Again, these aren’t as old, but they are pretty ornaments from my childhood Christmas Tree. My mom had a whole set of ornaments like this pretty yellow one (her favorite color). They were filled with “angel hair” in various pastel colors. I always thought they were elegant and beautiful and again they remind me of my mom and how beautiful she was, inside and out! These are ornaments that my mom bought for me when I first started decorating my own Christmas tree almost 30 years ago now. 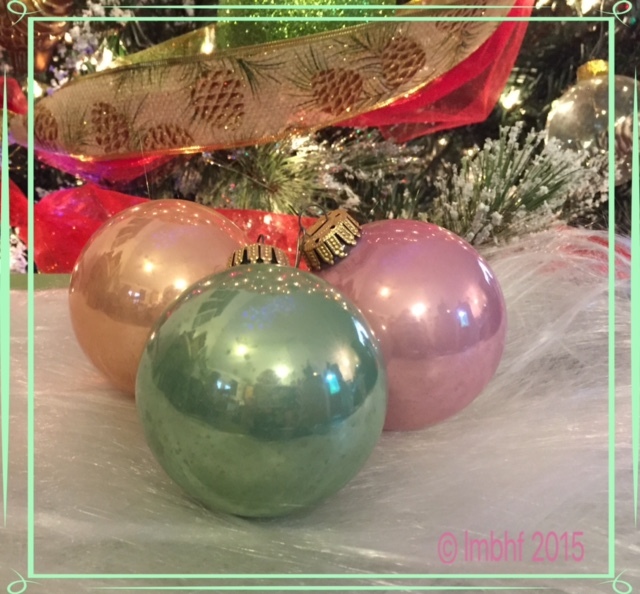 They are my equivalent of her “angel hair” ornaments and I think they are beautiful and elegant with their pretty pastel colors and mother-of-pearl finish and they remind me of my mom’s love for me, because she bought them for me to bring me happiness. Wow! 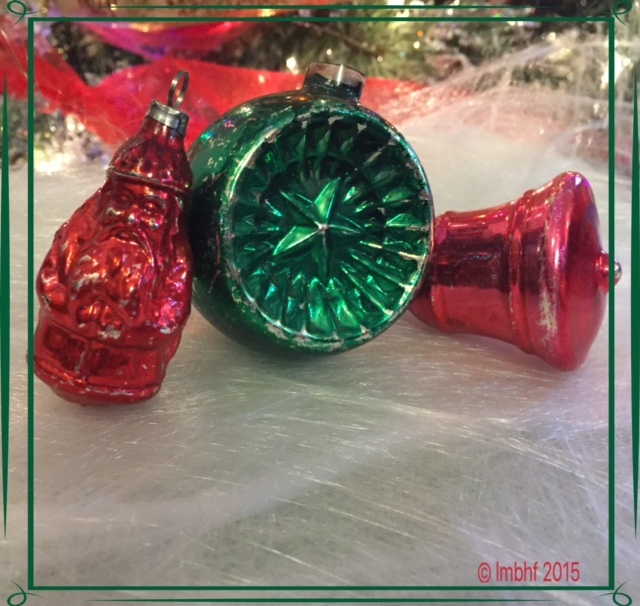 Writing this piece and reflecting on each of my Vintage Christmas Ornaments was more powerfully sentimental for me that I had expected it to be and it really put me in the Christmas spirit. 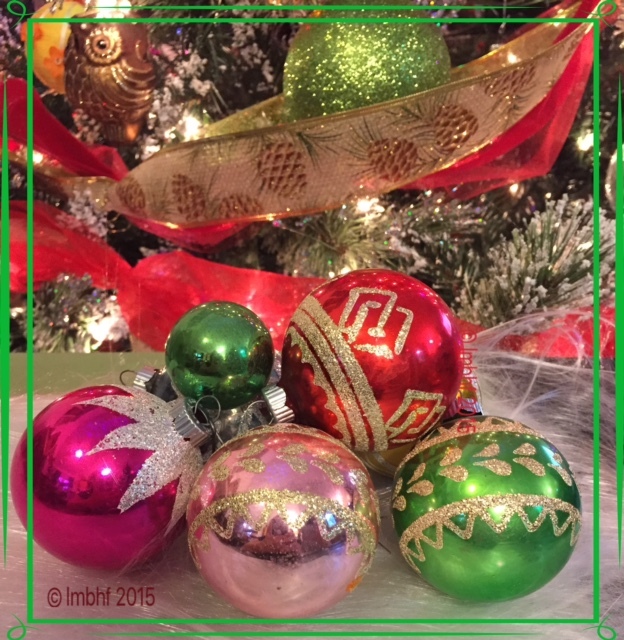 Beauty, love, life, family and heritage – I’m so blessed and thankful – now that’s Christmas!! Beautiful ornaments, and it is even more special because they mean something to you. I love when I am able to have sentimental things like that to decorate the tree. So much more meaningful than ornaments simply bought from the store. Thank you for sharing your sweet memories! I love these ornaments. 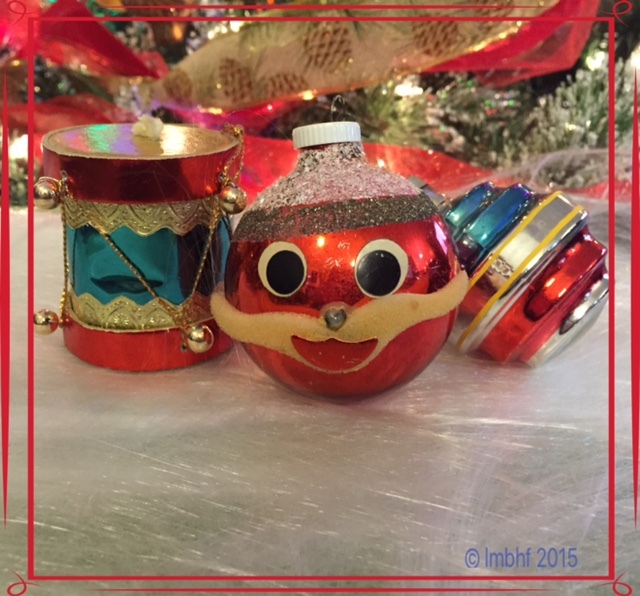 They remind me of my childhood… we had the same ornaments at home. Lovely post. Thanks for sharing. They’re the best, aren’t they! 100 year old ornament is so awesome. 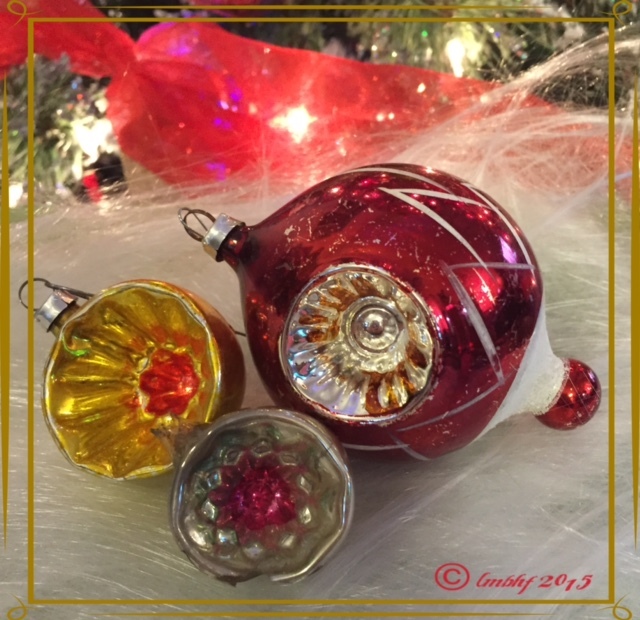 Love the photos of your old vintage ornaments. When the kids were little I made them each a handmade ornament. When they left home they took them with them. Thanks for linking up with Blogging Grandmothers. Ornaments that are special for sentimental reasons and/or have stories that go along with them are the very best kind! 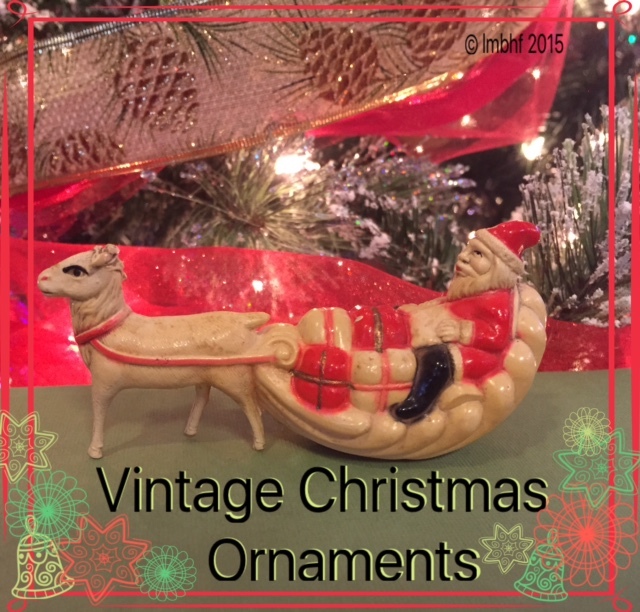 Love your vintage ornaments and your walk down memory lane. I have a few homemade ones from when my daughter was a baby and every year I buy one with the grandkids names on it. Thank you for sharing with #blogginggrandmothers. 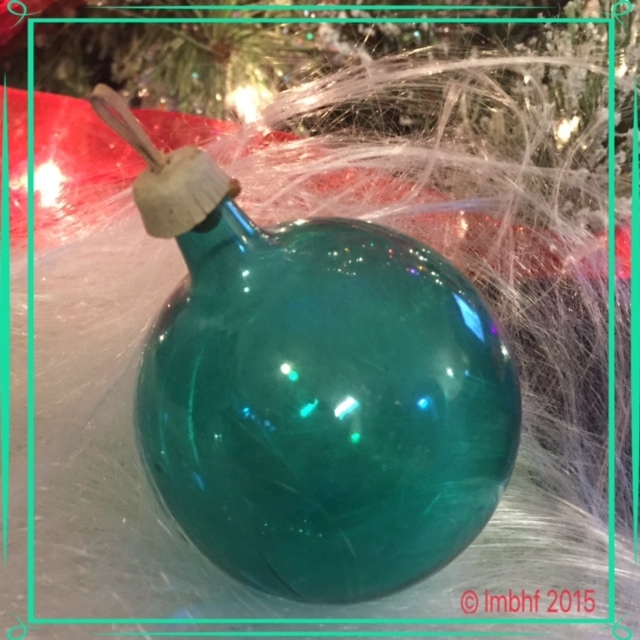 Homemade ornaments and ones with kids’ names on them are so much fun! I love to watch the kids search for the ones that belong to them! Love old ornaments! They sure don’t make them now like they did back then. My MIL has an old outdoor light-up nativity set. These are large figures and so well made. Can’t find quality like that now. 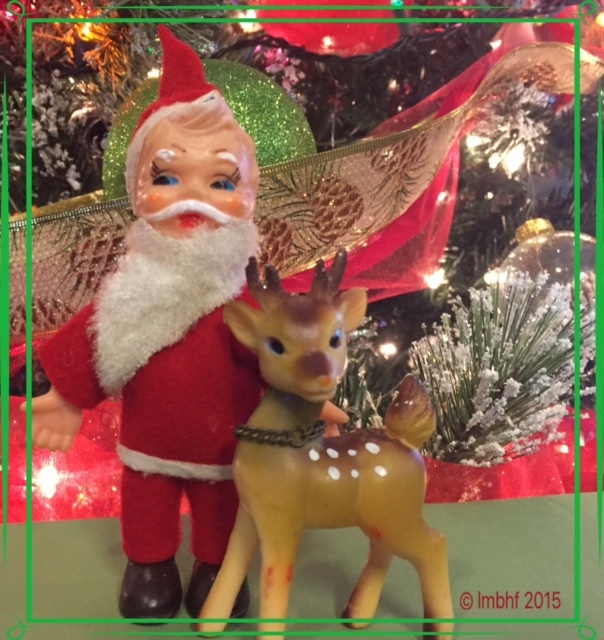 Thank you for partying with us at Blogging Grandmothers Christmas Link Party. We’ve shared your post on Pinterest, Facebook, and Twitter. Your mother-in-law’s nativity sounds awesome! Thank you for sharing my post!